Have you ever heard of a family council? If so, have you ever held one? What do you do as a family to facilitate them? 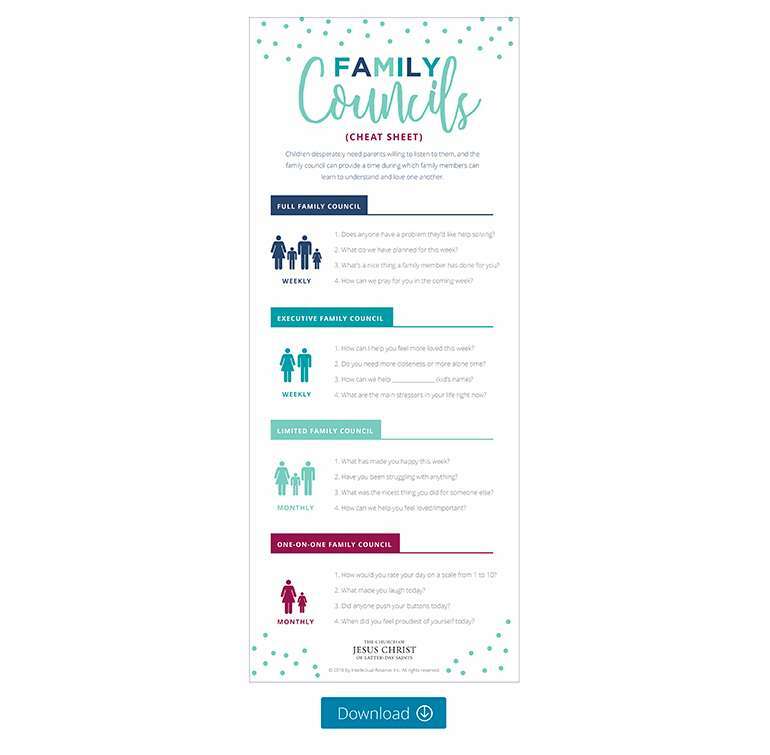 If you are new to the concept of a family council, I will tell you what it is! It is no strange concept that the family is central to Heavenly Father’s plan and to members of the Church of Jesus Christ of Latter-Day Saints. 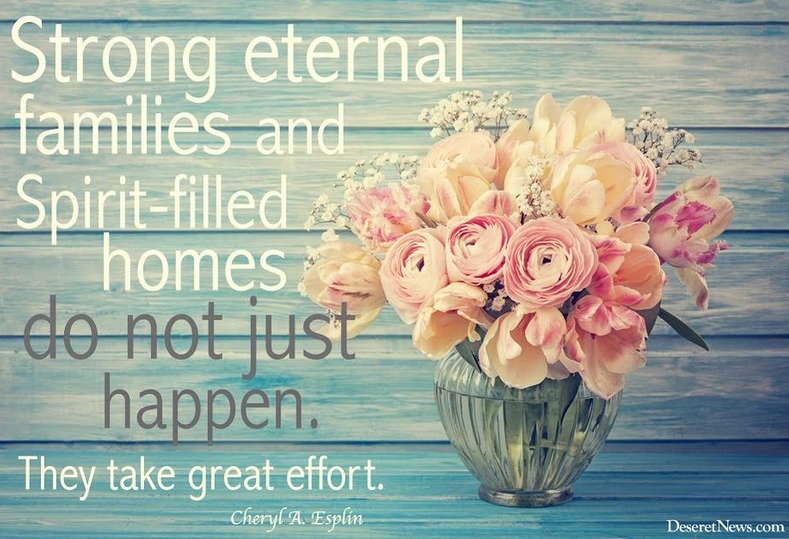 It is our ultimate goal to be with them for all eternity. The adversary knows this and is launching a full-blown war against the family. 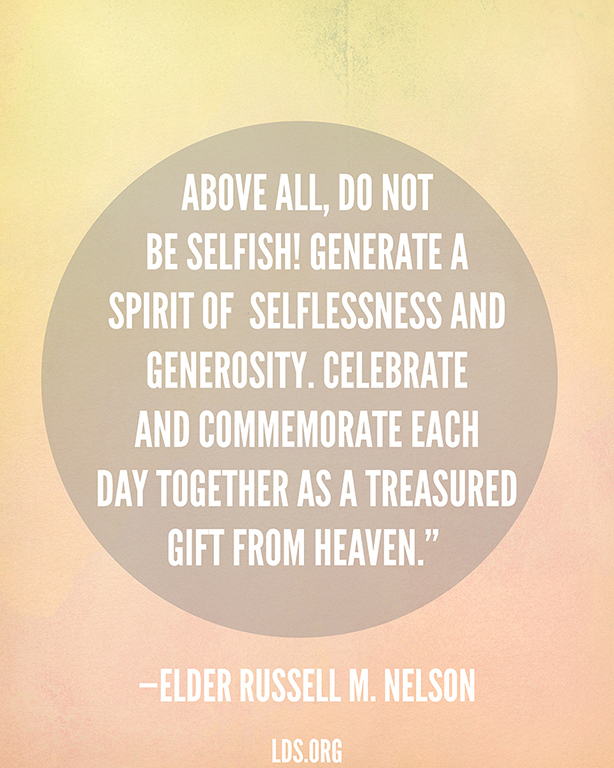 Elder M. Russell Ballard presented an excellent way for families to touch base with each other. See how the members of the family are doing, and figure out what is going right, what’s going wrong, and what can either be continued or fixed. He recommends that families hold a weekly family council. I’ve attached a cheat sheet that can be found here (Links to an external site. )Links to an external site.that effectively breaks down what should be covered in family councils. There are four different types of family councils that should take place. The first is a full family council consisting of all members of the family. This should be held weekly. The next is an executive family council. This should take place between husband and wife. This should also be held weekly. The third is a limited family council. This is between both parents and an individual child, this should be held monthly for each child in the family. The last is a one-on-one family council between an individual parent and individual child. This also should be held monthly. The cheat sheet I’ve attached gives a great guideline for effective questions to ask to get the conversation going. Elder Ballard stated, “Children desperately need parents willing to listen to them, and the family council can provide a time during which family members can learn to understand and love one another.” Family councils can provide protection to both families and couples as we seek to fortify ourselves against Satan’s attacks to break down our family. I can’t believe that I’ve finished the book I’ve been reading for my marriage course, “The Seven Principles for Making Marriage Work” by Dr. John M. Gottman. It was amazing, and eye opening. I am not over exaggerating when I say that I think that everyone should read it. If you’re like me though, and are incredibly short on extra time at the moment I wanted to share the most important lesson that I learned from this book. With 91% accuracy and after observing a couple for fifteen minutes Dr. Gottman could predict whether or not your marriage will work. What it comes down to is friendship. Another lesson that I learned from my study of this book is that it is by the small and ordinary acts, our day to day that we can really nourish and build our relationships with our spouses. I was never one to carve out a weekly date with my husband, now that we have I feel closer to him. I enjoy the time we spend together. Even if it's just perusing the aisles of Walmart trying to remember our kid's shoe sizes. It's how we spend time in the ordinary that makes our marriages extraordinary. This week we are talking about conflict. Each marriage has two different types of problems: solvable and perpetual. The majority of them are perpetual, meaning that they aren’t going to be solved and the couple will need to figure out a compromise in order for them not to fester and cause disgust which will eventually rot the relationship. I don’t know about you, but I usually prefer to avoid conflict. Then other times, I’m feeling froggy...sometimes, I’m just in the mood to fight. It’s not good, I know. 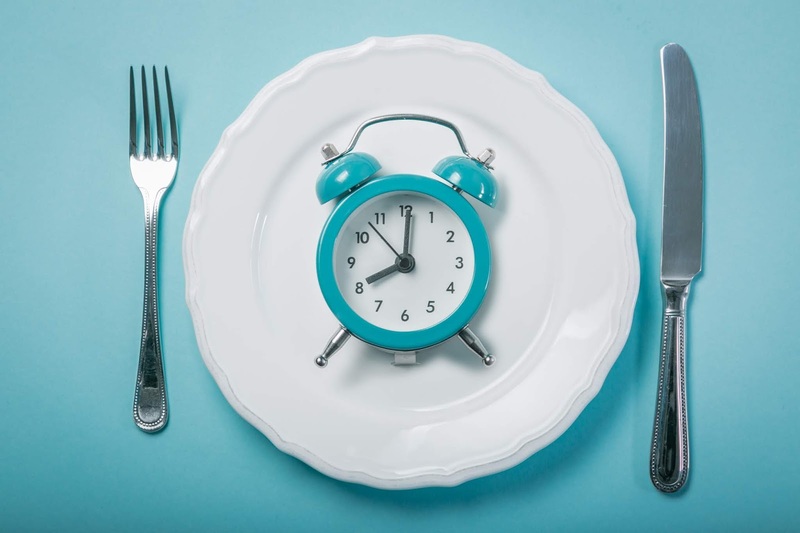 At those times, it’s usually over a perpetual problem that has been festering. Thankfully Dr. John Gottman shared some ways to successfully navigate conflict and advice on how to make repairs in order to lower the tension from said conflicts. The underlying key to successfully address conflict according to Dr. Gottman is "Communicating basic acceptance of your partner’s personality. Human nature dictates that it is virtually impossible to accept advice from someone unless you feel that that person understands you. So the bottom-line rule is that, before you ask your partner to change the way he or she drives, eats, or makes love, you must make your partner feel that you are understanding.” I also think that we need to remember another important lesson that I learned from Dr. Gottman, “in all arguments, both solvable and perpetual, no one is ever right. There is no absolute reality in marital conflict, only two subjective realities.” This was something that really shook me. I have always had such black and white thinking when it comes to marriage and conflict. I wanted to share a youtube video that makes me laugh every time I watch it because it’s so true and applies to most conflicts between husbands and wives and backs up the quote I shared above about addressing conflict by Dr. Gottman. I think it would do all of us well to remember that it’s not about the nail. For this week’s topic in my marriage course we are learning about Pride and how it can and often is detrimental in a marriage, but what is Pride? President Ezra Taft Benson said that, “Most of us think of pride as self-centeredness, conceit, boastfulness, arrogance, or haughtiness. All of these are elements of the sin, but the heart, or core, is still missing. I found it so interesting that we have so much focus on the elements of the sin, but at the heart of it, pride is so much deeper. Pride destroys marriages because in our hearts there is hatred, hostility, or a state of opposite. Those aren’t exactly the feelings that we promised to have when we chose the person to love and to cherish for all eternity, or for some, at least until death do you part. With pride, it is likely you will be parting a lot sooner. 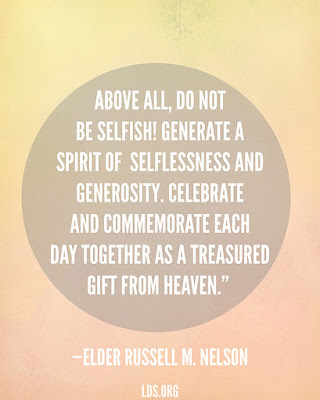 Just as President Benson knows that we can choose to be humble, I know that we can too. It’s hard, but it is so worth it when it comes to forming lasting, eternal relationships with those whom we love. They are worth it, and so are we. It sure has been a hot minute since I've last posted. Almost two years. A lot has changed. I've changed. While the purpose of my blog hasn't changed, what I am going to blog about has. Why? Because the world around us is changing. Day by day it truly feels like time is speeding up, my children are growing quickly, weeks feel like days, some hours feel like minutes and at the center of it all, I find myself wishing that time could stand still just a little longer so that I can catch my breath and be the best Mom that I can be for my children, and the best wife I can be for my husband. Even more than that though, I just want to help ensure that my family will be together forever. Years ago, the Prophet of the Church of Jesus Christ of Latter Day Saints at that time named Spencer W. Kimball, once said: "Many of the social restraints which in the past have helped to reinforce and to shore up the family are dissolving and disappearing. The time will come when only those who believe deeply and actively in the family will be able to preserve their families in the midst of the gathering evil around us." Can you believe that he said that back in 1980? I truly think that time is quickly approaching as the importance of family is dissolving in the society around us. Yes, I know I'm going to get some flack from some of you for speaking about these things, but years ago I made you a promise, that I would help you create joy. The deepest joy in my life has been felt as I've committed to loving and strengthening my family. I promise you, that the deepest joy you will ever feel in your life will come from doing the same. For me, I am going to take a more active role in building my family by ensuring that we spend more quality time together. We have started and will continue to hold weekly family councils. This is a time where we can all plan out the following week, talk about things that make us happy and sad, and just be together. There's an awesome little "cheat sheet" that can be found here that you could use if you would like to hold family councils. We will also hold a weekly family devotional time where we will spend time talking about the Savior and learning about His life from the New Testament. We will also have a night every week where we do an activity as a family, that's just plain old fun. Something that will get us laughing and enjoying each other's company. I encourage you to do the same. Family is so worth it, I know that for me this life is about preparing to spend forever with my Heavenly Father and my sweet family. Until then, I'd like to create a little bit of Heaven on Earth for them.